While SpaceX has gotten plenty of media attention for its lawsuit against the US Air Force regarding the “block buy” contract for Evolved Expendable Launch Vehicle (EELV) missions with United Launch Alliance, the company is also on the receiving end of lawsuits. Last week, the company was named as the defendant in two separate suits from former employees, alleging the company has violated different aspects of state and federal labor laws. 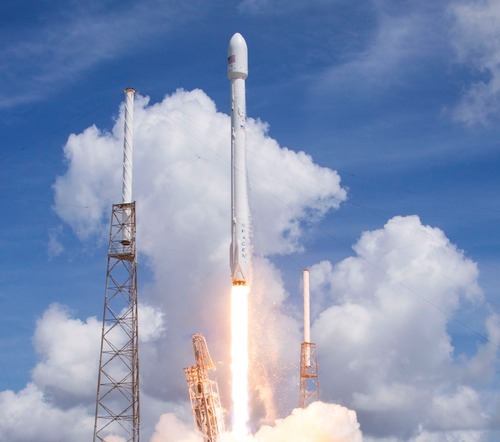 On August 4, two former employees filed suit, claiming they and up to 400 others were laid off from SpaceX’s Hawthorne, California, headquarters without proper notification. In the suit, plaintiffs Bobby R. Lee and Bron Gatling said they were terminated as part of a “mass layoff” by SpaceX on or around July 21. They and others—the suit estimates that between 200 and 400 employees were laid off—were not given advance notice, as required under state and federal law. Under California’s Worker Adjustment and Retraining Notification (WARN) Act, a stricter version of similar federal law, employers must give 60 days’ advance notice of any “plant closing, layoff or relocation of 50 or more employees within a 30-day period,” regardless of the overall number of employees. SpaceX did not file a WARN notice with the state. SpaceX has made it clear that it considers the separated employees fired, not laid off. The company said the “headcount reduction” came after an annual review, with the company firing low-performing employees. “We did our annual performance review, there were some low performers, and we terminated them,” said company president Gwynne Shotwell in a brief interview at the NewSpace 2014 conference in San Jose last month. SpaceX also said the reduction was “less than 5%” of the company’s overall workforce, which would put the total number of terminated employees at no more than 200, not the 200-400 that the suit claims. As with the termination lawsuit, this suit seeks class action status to cover all affected employees. The suit doesn’t provide a firm estimate of how many that would include beyond that it’s in excess of 100 people. The suit seeks a variety of compensation for pay due to those in the affected class, including interest on back pay and attorneys’ fees. However, the suit notes that the “aggregate potential damages and recovery” sought is believed to be less than $5 million. It seems unlikely to me that SpaceX would terminate the employee’s without having the necessary documentation to ensure that they would lose a case. The second case could be an issue depending on what evidence the plaintiffs have. ** that should say would NOT lose a case!!!! LOL. Terminate 200 due to low performance? Good luck making that case. Either their personnel and review processes are totally broken our they are lying. My company recently did layoffs, many who were key go were low performers, but they got severance. Because my employer’s HR folks are not incompetent. Dunno, sounds kinda like they’re doing stack ranking, a system that fires the lowest-performing 5-10% of your workforce. It’s kind of a fading fad, but not uncommon. MS, Yahoo, GE, Ford, IBM all use or used stack ranking. I don’t know how many people MS typically fired in a round, but Yahoo is known recently to have sacked 600 in one round. It’s a decent techinque for trimming down a fat company, but corrosive if used long-term. Considering SpaceX will probably replace all those fired pretty quickly, and then some, I think it’s a hard road to classify their action as a “layoff”. As far as violating all of California’s picky labor laws, I wouldn’t be surprised if that were true. They’ll probably be forced to comply with the letter of the law. Just one of the prices of doing business in California. What kind of severance package were the terminated employees offered? Given that SpaceX apparently plans to expand their workforce by 20% in the next year, I don’t see how you can classify this as a layoff. They will end up with more people than they started with. Obviously they didn’t want these particular people. It not unusual for a new company like SpaceX to break the rules. Such laws are to protect the workers. I`m sure SpaceX will respect the laws in the future. I`m sure a company like SpaceX expects the highest standards from its workers something most employees are not prepared for. That is not to say anyone is at fault neither employees or employers. You employ people your HR department is supposed/assumed to know all the rules. You employ people your accounts department is supposed to have all costs/overheads counted. SpaceX, you build rockets that work. If you get true re-usability working your workers are going to be busier the one-legged you know whats. Pay your staff right, stick within the rules. Besides the legal obligation, you have the moral obligation to do so. Otherwise, don’t make rockets or charge more for the ones you make. Elon, you dream of Mars, great, but make sure your (ex) staff are treated properly, it’s your reputation, your final call. If only we weren`t all human. In Hitler`s world there was no room for mistakes. Gary, in Hitler’s world, as you have expressed it, there was no room for the chronically sick, the very elderly, people of a different race, religion, way of thinking and ,oh, the bottom 5% of (non) performers. Laying off 200+ of your work force is not a mistake, it’s a strategy and IMO a really ill advised one! He who takes the applause must also take the criticisms. Gary, the clock is ticking on the time Elon Musk has left to make this wrong right. Let’s avoid bringing Hitler into this conversation, gentlemen. Thank you for your cooperation. No rest periods? Why would anyone want to work like that? Is this for real in 2014 in a developed country? How can these people stay concentrated and make no faults while working with full bladder and empty stomach? They can’t Slavvy. You have made a very good point. The exercise is one that will only demoralise your workforce and only encourages/rewards Nedemyer behaviour. SpaceX and Musk have tried to make an example of the “under achievers” within their workforce, but, at the same time, have tried to avoid paying the proper award entitlements of doing so. I hope, for their sakes and those of their remaining staff, that they receive the reality check they deserve. Paul: You seem to believe that the claims made in the lawsuits are correct. What evidence do you have to support those claims, or are you taking those statements made by former, and possibly disgruntled, employees at face value? Bob, point taken. You are right of course, I don’t have access to any more information than what is reported within the media. However, over the years I have had considerable experience in dealing with medium to large organisations, investigating/advising changes to corporate cultures, measurement of employer/employee relationships, attitudes and 360 degree management studies. I have also owned/run several small businesses and have employed/managed my own, albeit small, number of staff. I’ve been around and I know how it works. This is not the first instance of corporate upper/middle (mis)management and, unfortunately Bob, it won’t be the last.